Elaine Samuels plays solo, with duos, trios and a 5 piece band under the name "Kindred Spirit". She has played at venues like Glastonbury Festival, Guildford Festival, the Marquee, Barbican and major venues around the UK. Types of Elaine's gigs and her sound. 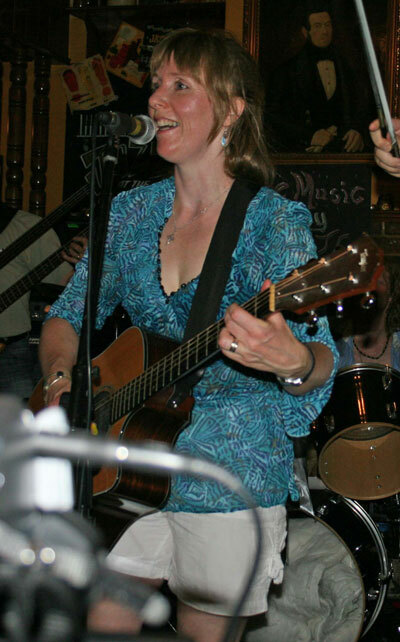 A full time professional, Elaine is the lead vocalist/songwriter for the duo & band; playing guitar (banjo and cittern). Receiving great acclaim for her voice, songs and lively stage presence Elaine has been going from strength to strength. HTV featured Elaine singing one of her songs on the mystical heights of Glastonbury Tor. With 5 albums to her name she plays the length of the country at around 100 bookings per year including radio & TV. Elaine was also a member of "London's Finest" female singer / songwriter group "Girls With Guitars UK" between 2003 and 2005 and performed regular London showcases with the other cast members. She left to concentrate more on Kindred Spirit projects. "Elaine has a voice which can be both hauntingly beautiful & deeply emotional, coupled with a powerful stage presence. 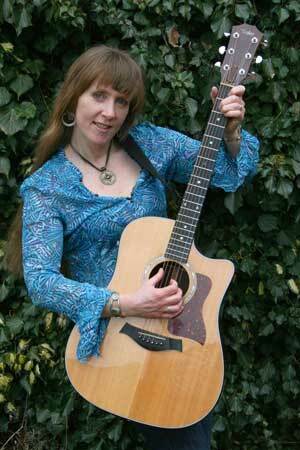 Her material ranges from folk through to blues, but it is her rich repertoire of perceptive, intriguing self penned songs combined with her guitar work which sets her apart”. “Think the Brits can‘t deliver a terrific acoustic performance ? I‘ll show you something that‘ll make you change your mind. 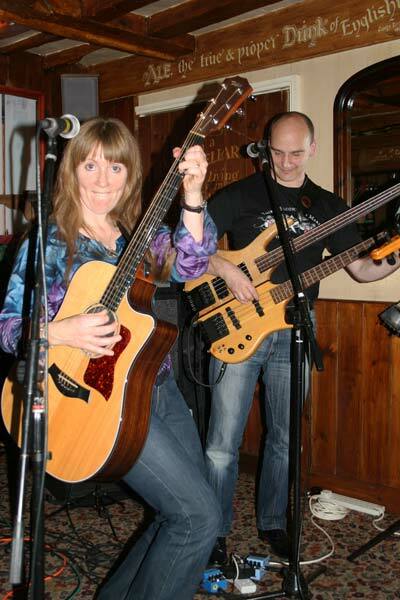 Anyone venturing to England should check out an excellent acoustic artist, Elaine Samuels, working either solo or front and center for her duo Kindred Spirit”.